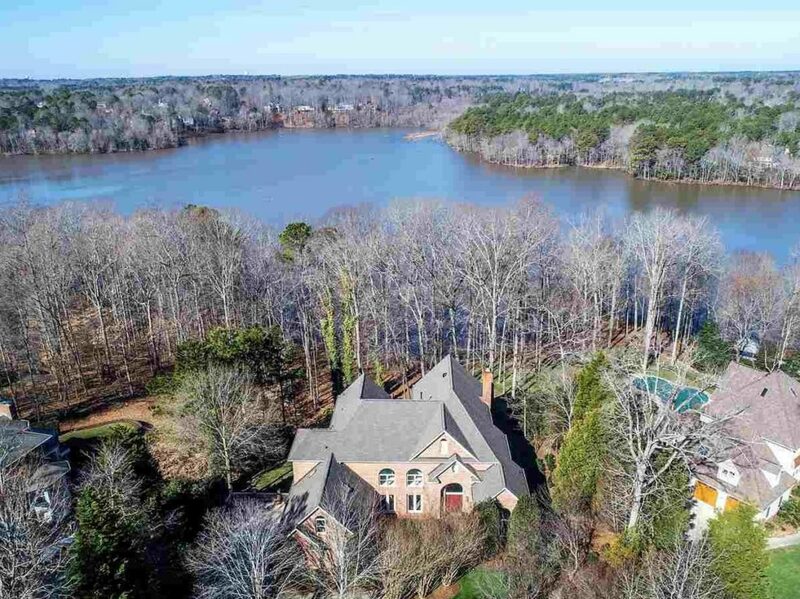 Sunset Lake is an exclusive residential neighborhood located south of the similarly named lake in Holly Springs, North Carolina. The community is bordered by other neighborhoods such as Stansted, Carrington, Wescott, Cassidy, Cobble Ridge, Holly Heights, and Robencliff. Ideally located southeast of the city, Sunset Lake residents are far enough from the busy city streets. Enjoy the picturesque and natural beauty of the forested areas and lakeside views in this serene neighborhood. Residences in the community feature spacious home lots that provide privacy between neighbors. The spacious home sites feature mature trees growing throughout the community. Homes in Sunset Lake are custom-built luxury single-family houses that have beautiful architecture and well-built exteriors. Each house has a comfortable living area, ample parking space, multiple bedrooms and baths, extravagant furnishings, gourmet kitchen, and dining area. The Sunset Lake Lodge along Sunset Lake Road is the community center which is perfect for events or parties. The two lakes in the region provide excellent spots for fishing and other water activities. Bass Lake Park located west of Sunset Lake features lovely walking trails, picnic areas, and park center. Northwest of the neighborhood is Devils Ridge Golf Club, a private club which has a professionally designed championship course, exclusive club amenities, and golf training facilities. Schools available to families living in Sunset Lake are a short drive northwest of the community. There is a good number of public and private schools in the district providing a good variety of options for parents moving into the area. Schools closest to Sunset Lake are New School Montessori Center, Holly Ridge Middle School, Holly Ridge Elementary School, and more. If you are looking for a buyer for your property in Sunset Lake, we are here to help. Selling a home can be challenging by yourself. You need to contact potential buyers and market your home through several channels. It can be a time-consuming and overwhelming process. Our team will help sell your home fast and easy. We have worked with several clients in the past to find the right buyer for the right price. If you have any Real Estate questions, I would be happy to provide the information you need.